Last year it came to my attention that Oberlin College was chosen to host a wonderful exhibition and series of events entitled “Courage and Compassion” thanks to the Go For Broke Foundation. Here’s an excerpt that was included in the Oberlin Alumni “Around the Square” Newsletter. My name is listed! 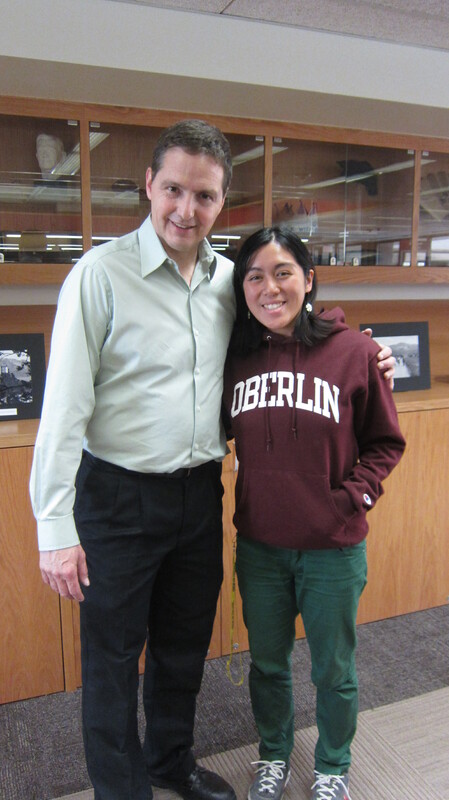 Clyde Owan ’79 became interested in learning more about Nisei students at Oberlin during the war years when he realized that family friend, Alice Takemoto ’47, had left Jerome War Relocation Camp to pursue her studies at Oberlin. 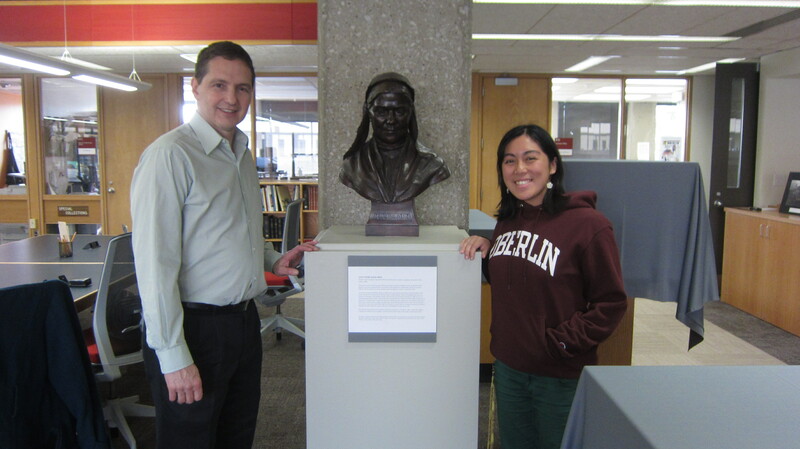 In 2013, he joined with then East Asian studies major Cassie Guevara ’13, and Oberlin College Archivist Ken Grossi, to uncover the history of Japanese American students at Oberlin during World War II. They combed through college records, looked at yearbooks, worked with the alumni office to track down former students, and uncovered the rich stories of Nisei students who studied at Oberlin during the war. In 2013, this research became the basis for a featured article in the Oberlin Alumni Magazine. In 2015, staff members at the Go For Broke Foundation came across the story in the alumni magazine as they searched for communities that treated Japanese Americans with generosity and compassion during the war. 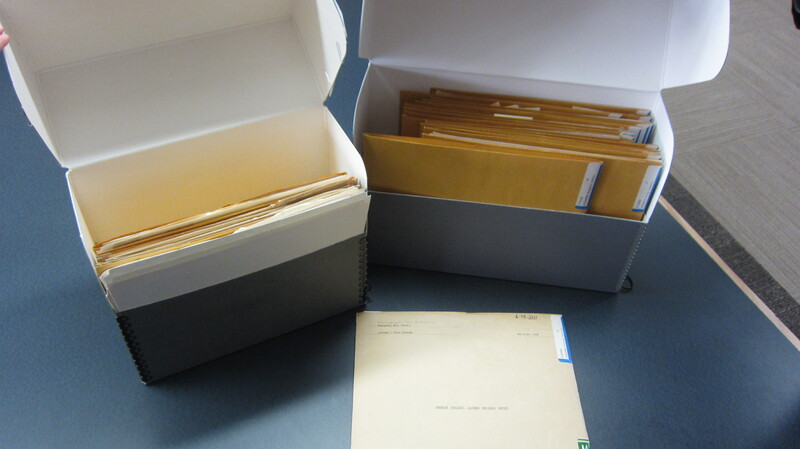 They contacted Renee Romano, professor of history and chair of the Oberlin College History Department, to see if Oberlin would be interested in participating in the grant to mount a traveling history exhibit. Here is a link to the full article with more information: https://www.oberlin.edu/events/special-events/courage-and-compassion/history-project this blog is listed there!! I’m also extremely excited to have been invited to speak to current students at a new module course dedicated to the subject of Japanese-American internment, as well as to Asian American alumni. As I live in Japan now, I’ll be flying in on March 7th and will be able to meet the documentary filmmaker Vivienne Schiffer who directed “Relocation: Arkansas”. Being asked to take part in this research as a senior at Oberlin was truly one of the most memorable experiences of my life– as well as being able to come into contact with family members of these former students through my blog. Thank you to Clyde Owan, Suzanne Gay, Anne Sherif, Ken Grossi, Renee Romano (whom I’ll be meeting for the first time soon!) and all of you for your support, and I hope that if you are passing through Oberlin until mid March you can see the exhibition yourself! Since my last blog post almost a year ago I WAS able to go see George Takei’s screening of “Allegiance” in Odaiba, Tokyo. Not only that, I saw George himself when he and some others gave a talk about the musical. (He came to the stage from the back of the theater and I was so close! Not fast enough to turn on my phone for a photo, though.) Please watch this musical if you can! I was recently contacted by Clyde Owan, Alice Takemoto, and my father to let me know that an article by Lisa Chiu about my research has finally been published in the summer edition of the Oberlin Alumni Magazine! How exciting! I don’t own a physical copy myself (it’d be great if someone sent me one!) but my father did send me some pictures. I’m very honored to have had the opportunity to research Japanese Americans at Oberlin during WWII, and I wish I could have continued! Perhaps in the future..
For a summary of my research processes click here. To read profiles of various students at Oberlin during the war click on my “Oberlin Nisei” or “Research” tabs on the Topics sidebar. the student files I painstakingly gathered over the semester. with Ken Grossi on my last day of the job!